Time to sum up the men’s fashion trends fall 2017. As some of you are already aware of, fashion tends to be similar for women and men regarding trends. They share the same core and more or less goes after the same feeling to embrace. 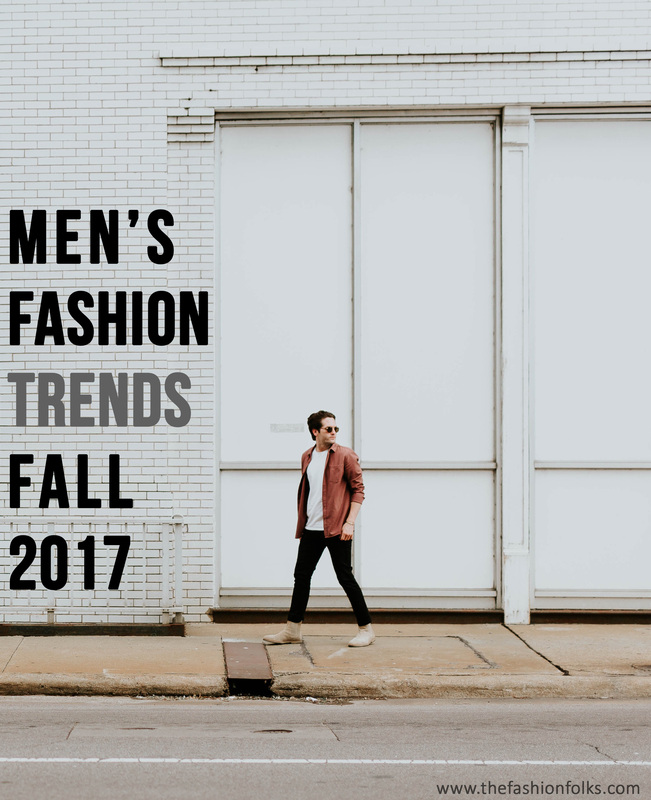 So, if you read this post on the fashion trends fall 2017, you’ll recognize a lot in this post! We’re talking sweater statements, orange and red as colors and a touch of the 1980s! Folks? Here is a recap of the men’s fashion frends fall 2017. For the SS17 season, the statement making fashion was a fact and continues to peak for fall too. Especially the sweaters on the men’s fashion side have been perfect canvas to make a clear and loud statement, either by the power of words or the artsy side of motives. Valentino went statement and so did Dior Homme. The best part about this trend is that you can choose a print or text that reflects you and your style, a way of channeling clothes’ ability to speak. Men’s fashion tends to be rather neutral, classic and basic which further emphasizes the opportunity to mix it up with a sweater statement this fall! Red is the statement color for women’s fashion, but so is also orange – which is the hottest color for men’s fashion. The interesting aspect is that the colors are done monochromatic. Top to toe orange and red is the way to embrace the color, with orange being leading for men’s fashion. Of course wearing orange in a subtle way will give you some style credit, but all the way orange will elevate the trend factor. Missoni did embrace orange full on and so did Prada. If you’re unsure about orange at all, go for the color in a situation you’re comfortable and where the color looks natural. Sportswear is a terrific example where orange often is beloved, even by the shy fashion people too! The 1980s might be done from a time aspect but manage to stay alive through the fashion revival. Especially statement shoulders are getting their fair share of attention. They’re most obviously done with blazers, coats and shirts; that makes up the base in menswear. This season the blazers are done in a statement shoulder manner, creating an inverted triangle as the silhouette. Match the blazer and pants and you’ll underline the silhouette further, but also make the shoulders blend in better with the print/color being consistent in the outfit. Dries Van Noten played with plaid and statement shoulders. MSGM took it navy, keeping the statement shoulders neutral in a navy blue color. The plaid patterns are a returning fact of matter each fall, but perhaps hitting a peak this season. They’re everywhere in womenswear and getting the spotlight going in men’s fashion too. Plaid is a popular pattern to do for men’s suits, which is mainly what’s been done for fall 2017. Not to forget, the plaid shirts which are pretty much a must for any hipster out there. Sunnei took it classic with a plaid patterned suit. Dsquared2 went layers with the plaid and Paul Smith embraced the ideal idea of a retro dude from Britain. Folks! What are your thoughts on the men’s fashion trends fall 2017? What will you work or walk away from? Let’s chat in the comments! My boyfriend always asks me about what’s on trend for men and I never know haha. I will be sure to relay these trends to him 🙂 He loves a checked blazer. I wish my husband would wear a plaid suit! I’m definitely going to talk him into it for an upcoming wedding, at least for the jacket! Amazing post! I really enjoyed reading it! Orange and plaid are great for the fall season! And flannels are all my fiancé will wear, haha. Thanks for sharing! I never know what’s going on in the world of men’s fashion. But maybe I’ll try to get my husband on board with some of these–I know he at least likes plaid! I have been trying to get my boyfriend to be stylish and just can’t ever do it. I will be sending him this link for hints!! I absolutely love the statement sweater trend for men!